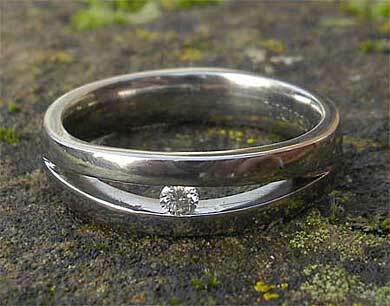 Unusual Diamond Titanium Engagement Ring : LOVE2HAVE in the UK! 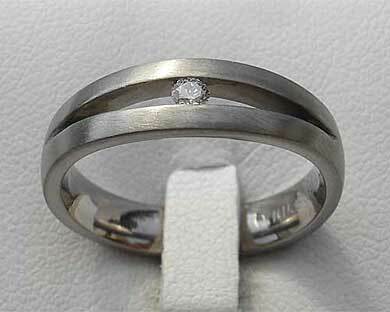 An unusual diamond titanium engagement ring with a split band style pressure setting. This engagement ring comes in a polished finish, but a satin finish is also available too. Please state the finish you require into the comments box at check out. The stone is a 0.4pt white diamond and the rings widest point measures approximately 6mm across with the stone. 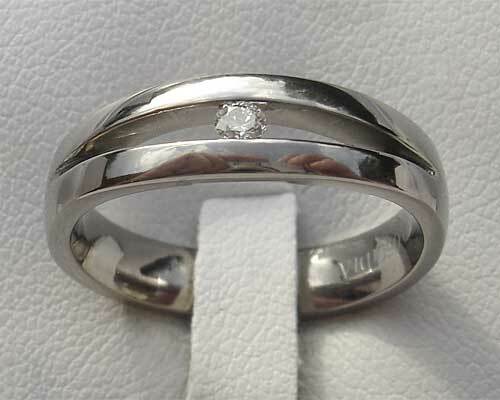 We can also provide these rings with a black diamond too and larger 0.8pt diamonds. It also has a slightly domed profile. Precious stone(s) Available: 1 x 0.4pt white diamond or 1 x 0.8pt white diamond.